Malta, the Phillips County seat, is at the crossroads of US HWY 2 and US HWY 191 providing direct highway access to the US/Canadian border at the Port of Morgan and urban communities of Billings and Great Falls. Burlington Northern Santa Fe rail and daily Amtrak passenger service is available in Malta. 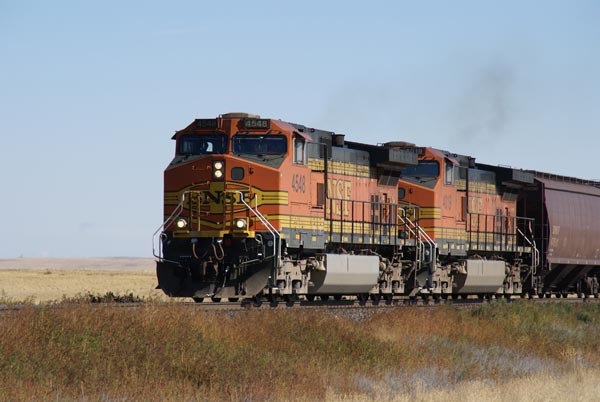 The Northern Corridor Main Line in Montana is a segment of one of BNSF’s principal east-west main lines, which connects the Midwest with the West Coast. The route, which dissects Phillips County and the City of Malta hosts considerable intermodal (container) traffic and is a key corridor for grain moving to Pacific Northwest Ports. It is a major transcontinental rail freight trunk route. Amtrak provides passenger service along the northern US with daily service both east and west at an unmanned station in Malta. For the Amtrak schedule, trip planning information and ticket purchasing, please click here. The Malta Airport is located 1 mile NW of Malta just north of US Highway #2. Local contact is Dixon Hitch, P.O. Box 1473, Malta, Mt. Phone 406-654-1222. The Malta airport has global positioning, non-precision approach and comfortably land small jets and prop planes. Private and freight flights are made from the Malta Airport and it also serves as the site of emergency air ambulance service. The nearest commercial airports are over 200 miles away in the communities of Great Falls and Billings. Smaller connecting flights are available 90 miles west in Havre and 70 miles east in Glasgow through Cape Air. To book flights with Cape Air call 800-CAPE-AIR or go to www.capeair.com. Phillips Transit Authority - (406) 654-5301 The Phillips Transit Authority is governed by the board of directors who work to expand public transportation to those of need. The purpose of the Phillips Transit Authority is blending the interests of local, state, and federal governments with the interests of the general public and the business community to build, modify, or improve transportation facilities and systems. To date, participating historic transportation providers include: Malta Head Start, Hi-Line Boys & Girls Club, Phillips County Council on Aging, Malta Opportunities, Inc. and Hi-Line Retirement Center. Triangle Communications services the majority of Phillips County. Access to the fiber optics network is available in Malta and throughout the county. We are recognized as a smart rural community by the NTCA - The Rural Broadband Association, which means we use broadband networks to enable applications that the community can leverage for innovative economic development and commerce, blue-ribbon education, first-rate health care, cutting-edge government services, robust security and more efficient energy distribution and use. Broadband facilitates greater interconnection of the community’s resources and can prepare and enable citizens’ participation in the global economy. There are more public road miles in Montana than Interstate miles in the entire U.S.
Over 82% of all manufactured goods are moved in and out of Montana by truck. 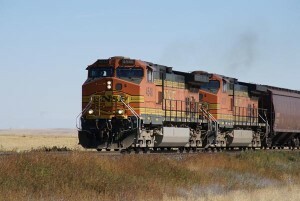 93% of Montana's agricultural products are shipped out of state by rail. Montana has 15 state-owned airports, 118 public use airports, and over 350 private use airports. 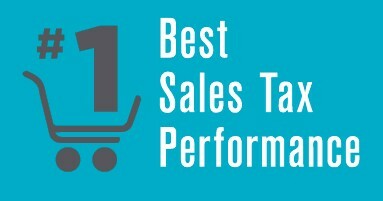 Montana has NO sales tax and NO inventory tax! 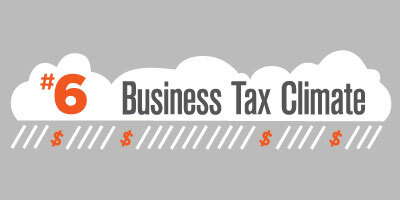 Montana's corporation tax is 6.75% and is calculated on net income earned in Montana. Corporations making a "water's edge" election are required to pay tax at a rate of 7%. Corporation's whose only activity in Montana consists of making sales, and do not own or rent real estate or tangible personal property, and whose annual gross of sales made in Montana does not exceed $100,000, may elect to pay a tax of 1/2 of 1% of gross sales. Most real estate, improvements, and personal property are appraised and taxed. Property tax liability is calculated based property classes, tax rates and calculation formulas established by the legislature. The Montana Department of Revenue provides detailed information on the eleven different classes and how those taxes are assessed. Montana's individual income tax was enacted in 1933 and continues to this day to be the largest source of state tax revenue. The state's income tax is viewed as a "progressive" tax system because of the distribution of tax burden and because income is taxed according to a graduated rate structure with rates ranging from 1% to 6.9% of taxable income. Electronic filing of the Montana income tax return along with the federal return is available. Direct deposit of refunds is available to all filers along with direct deposit to automatically pay your tax liability when you electronically file your return. For the current year tax forms for the State of Montana, click HERE to visit the Montana Department of Revenue's official website.